The Elder’s sister got married in 1951 and so this released him to enter monastic life that same year. He chose to enter the Monastery of Saint David in Evia which at that time had only three monks. The conditions at the Monastery were very difficult at the beginning. The Monastery had been almost abandoned and the monks that lived there did not do anything to improve the facilities. Because of these difficulties that he encountered the Elder returned to Farakla for a while. He returned to the Monastery again and was tonsured a monk on November 31, 1952. The following month he was ordained a deacon on the 17th of December in Halkida and two days later he was ordained a priest. He was chosen to be the Abbot of the Monastery of Saint David in 1975. But prior to this the Elder had become well known and beloved by the faithful in that part of Evia. The faithful would visit the Monastery for the sacrament of confession and for pastoral counseling. The number of faithful Christians visiting the Monastery increased drastically and the income of the community was increased dramatically to the point where many improvements were made to the Monastery. 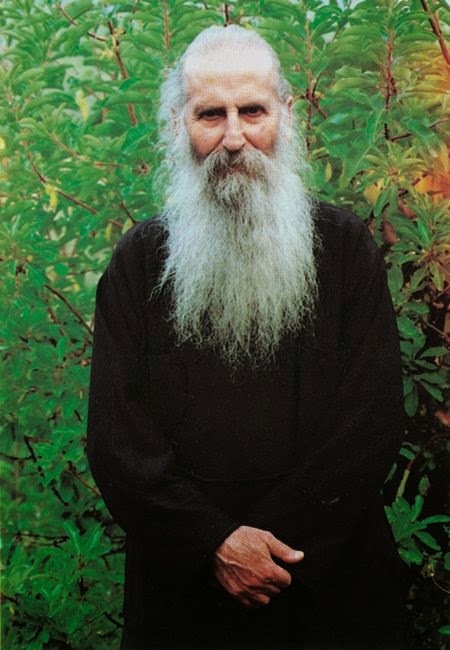 The Elder Iakovos Tsalikis is a contemporary of the Elder Porphyrios. Both men were miracle-workers. Elder Tsalikis died November 21, 1991 and the Elder Porphyrios died December 2, 1991. They have had a great spiritual impact upon the contemporary Orthodox Church. This impact has continued even more profoundly after their departure for eternity. What is unusual in the life of Elder Tsalikis is his visible battles with demons that assailed him and how he was able to subdue them. Following his experience with these spirits of darkness, he then was given the grace to become a very effective exorcist. He was able with the sanctified skull of St. David, the founder of his Monastery, to banish many demons from faithful people of the Church who were possessed. It was early on in his monastic life that the demons would attack Fr. Iakovos physically to the point of knocking him out cold. On the heels of these merciless attacks by the demons Fr. Iakovos was given the grace to banish demons from people. 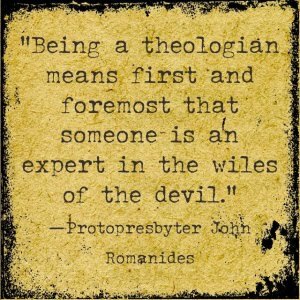 The demonic method of attacking people is well known from Holy Scripture and in the history of the Church. They are able to inflict such demonic influence on human beings that they become blind followers of Satan. It was especially during the 1980’s that possessed people were brought frequently to the Monastery for the prayers of exorcism. Father Iakovos would read the prayers of exorcism over them and then bless them with the blessed skull of Saint David. The Monastery was established by Saint David in 1550. The relics of Saint David are very fragrant to this very day. On the 13th of September, 1987, a demon began terrorizing George L., a 23 year old young man. His condition worsened with every passing day. During the month of October his mother and his brother brought him to the Monastery. They asked Father Iakovos to do an exorcism for him. While the prayers were being read in front of the Church, the demon became violent. He was mouthing vile words while making irreverent hand motions and threatening those around him. When they took him into the Church he continued his violent behavior. Father Iakovos opened up the reliquary and took from it the skull of Saint David and began to read the prayers of exorcism. At that moment, the mother of the young man also entered the Church and yelled out in disbelief at what she was seeing: “My God, what are my eyes seeing? May my son be healed!” When the prayers of exorcism finished, George was freed from the demon’s powers and he became calm. When his mother exited the Church, she explained to a monk why she cried out in amazement. She said that as long as Fr. Iakovos was reading the prayers of exorcism, he was levitating a half meter above the floor while standing on a black midget that had horns and a tail. The faithful would bring demon-possessed people to the Monastery on a regular basis. They would also bring psychotic people who were suffering from various forms of schizophrenia. It is very difficult most of the time for someone to distinguish between schizophrenia and demon-possession. Father Iakovos had the grace to be able to discern the difference and he would say: “That person is psychotic and he should see a doctor. That other person, my child has a demon and he needs an exorcism.” Many people would observe the exorcism and would take notes of the dialogue that would take place between Father Iakovos and the demon. The demons would speak through the mouth of the demon-possessed person and they would often swear fiercely. The demons would express an understanding of certain things which the people did not know about. A demon-possessed person named Panagiota was thrashing around one day and did not want to go to see Father Iakovos. This demon threatened to blind Father Iakovos so that he would not be able to read the prayers of exorcism. In the morning the Elder asked what her name was and she answered: “Osmond.” Another demon-possessed person responded that he was called Beliar. In all instances of demon-possessed people the Elder would read the prayers of exorcism while holding the skull of Saint David. He was able in this way to protect himself from possessed people. They could not say that the Elder himself banished the demons since he always offered the skull of Saint David as his helper. It became a very dramatic scene one day for all those present when the demon-possessed took on different forms. Fearful and disheartened by the prayers of Father Iakovos, some of the demons suddenly would take on the form of an angry black dog, a fearful wolf or a flesh eating bird. At other times they would howl and growl like beasts and spread fear everywhere.